Firstly you need to work out how much time you have and plan training goals so that you can be at your best for the LM without getting injured due to fatigue. Realistically, there is only 10 weeks to go which is not much time to develop the stamina necessary for such a tough distance. Therefore, I'd be inclined to tackle this backwards; ie get some long and gentle training runs/walks in as soon as possible, especially as you are already an experienced runner. This will then give you the basis and weight loss upon which to superimpose faster training and racing. If you can substantially improve your basic speed at shorter distances, then running further (ie the LM) at a slower pace will seem easier until you are well into the race, at which time your long training runs will help you to get you through the very tough final 8-9 miles. Therefore, I suggest that you commit yourself to a few weekly training runs of considerable distance (15-25 miles) but without time constraints so they will probably have to be at weekends. Try to think of them as a wandering/exploring/travelling experience so that the distance is not a fear or pressure. These runs will become very tiring towards the end (you have to experience this to race a marathon) but if you take them steadily and realise that it's time on your feet which is important, then you'll learn to enjoy them and actually find them a relaxing escape to which you look forward. 1. 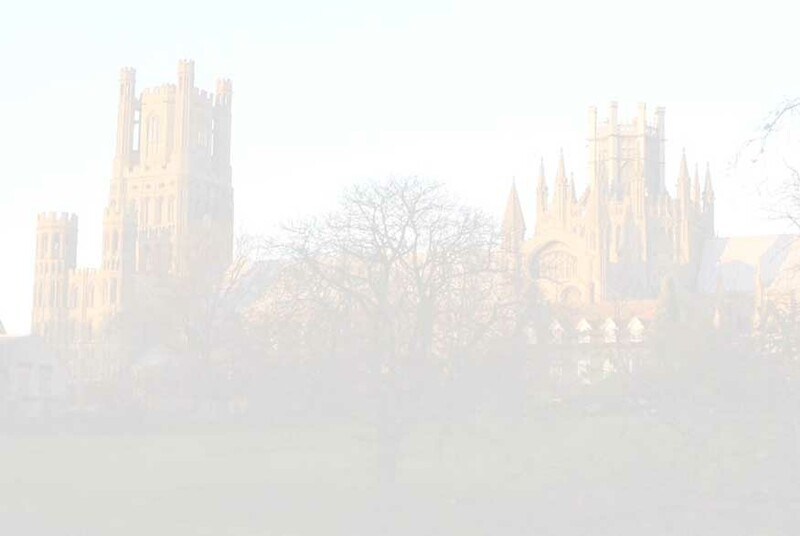 Run to Ely Station and catch the train to Cambridge Station and run back though the city and along the river banks to your home. 2. Look at an OS map (use Multi-map) and find somewhere interesting 8-12 miles away as an objective and use different out and back routes. Always a good idea to include some off-road to vary the pace and style, as well as being more interesting. 3. Have a drove wander - plan a cross-country circuit - take a map print and see if you can follow it. If you get lost and have to run a bit further that's both a challenge and a bonus. 4. Run along one riverbank to Waterbeach and back along the other to Ely - this is about 22-23 miles and a very tough run. You'll find a bit of walking may be necessary. Might pay to take a snack for the final stages. 5. The club route from Woodditton to Ely (see ER website) - 18m to the Paradise. You'll need someone to take you to the start. 6. There are lots of other drop-off and run back to Ely runs - a good one is from Denver Sluice along 10 Mile Bank and the riverbank road from Littleport back to Ely. 7. As it is a road marathon, at least half these runs must be predominantly on the road, and more so towards the race day. 8. A back to back weekend of running; ie say 8-12 miles on Saturday afternoon and the same again on Sunday morning. Always ensure that you are well hydrated (from the night before) well before the run, then you'll find you can cope (and condition yourself) without comfort drinking, but if you can scrounge or take a few drinks en route, that's OK and sensible. Some members hide half way water bottle the evening before. It's important to know and feel that you are running reasonably free of unnecessary support. Avoid relying on the so-called sports drinks, they're expensive and can be counter productive before running, especially if you do not normally have sweet drinks. However, it is important to have a good breakfast (or other meal) before these long runs. The sports drinks or carbo gels (rather unpleasant!) are best taken sparingly and of most use when you are at a low ebb towards the end of the race. However, an apple, orange, carrot, fruit cake or a banana are cheaper, just as effective and much more pleasant. 5 Feb Frostbite Bourne (if you do a 2m warm up and 2m warm down, this is 9.1 miles with 5.1 miles of fast running in the middle) and free. 26 Mar Sandy 10m or Joe Cox 10m at Stowmarket - aim for a fast time - you should be getting good by then! This last race will give you an idea of your LM pace; eg if you run at say 7:45 pace, then your planning speed for the LM will probably need to be about 8:30 m/m. It is important to stick to your planned race pace, especially during the first half of the LM. Your long training runs should be interspaced with fast training over shorter distances. The Tuesday and Thursday training sessions are ideal but you can also do some of these routes by yourself. As you get nearer to the LM, the frequency and quality of these runs should increase until you taper gently in the last 10 days or so. Make sure you eat well and enough for the extra running and that if you need new shoes you buy them well before the race (ie now). Avoid overeating in the last few days before the LM - just normal diet - the decrease taper and your fitness will do the rest. Before the LM, ensure you're well hydrated from the night before. Have an early breakfast and avoid stress before the race. Drink enough to maintain normal hydration before the race and avoid 'tanking-up' with water. During the race, drink water (more so in the early stages) little and often. A small amount of the offered sports drinks are OK in the second half/last third of the race but keep the little and often water intake going until the last few miles. Although this reply is orientated to your situation, I'll copy it to members as they may be able to find something appropriate. Hope these suggestions help - it's a difficult subject and different for everyone! Ultimately you have to plough your own furrow in marathon running. How long does a pair of trainers normally last you? I seem to have gone through my last pair quite quickly, but then I've been doing a lot more mileage, so don't really know what to expect now. Re shoes, the manufacturers tend to suggest that running shoes are OK for 500 miles but most club runners extend this up to about 1,000 miles. Older shoes tend to be all right on soft off-road surfaces but less so on roads/hard surfaces. I find the uppers and support wear out more quickly than the soles and heels. In summary, a new pair of reasonably supportive racer/trainers probably take about 100 miles to reach their supple best and are then reliable for another 400-500 miles at which time it's sensible to buy a replacement pair and gradually wear these in as the older pair are progressively relegated to off-road training runs. They are also useful as a comfortable back-up pair if the newer shoes cause blisters etc and you need an alternative fit to allow skin damage to heal. Low mileage, lightweight road racing shoes (or 'flats') are quite useful if your running justifies such luxuries because they can make racing seem special and faster. As this is the only time (after wearing them in) they are usually used, they will last for quite a long time. I usually keep old shoes for walking, gardening and field walking in the summer until they fall apart or another newer/old pair becomes available. Thanks for this! I now realise why my old trainers were probably starting to cause me some problems. I'd always kept track of their age using months rather than miles - fine when you potter along doing track training, but not when you're upping your mileage to cope with half-marathons etc! I think my "new" pair had probably done in excess of 1000 miles (I couldn't understand why the upper had worn through on the heel and was giving me blisters), and I dread to think about the "old" pair I'd kept for off-road - far in excess of 1000, I should think. Regarding shoes, Sweatshop have a limited range but they are usually the more popular makes/models so this actually helps. They also have a special pad to check your foot type and a treadmill to test the shoes. There are different shoes for men and women. The main difference is that the women's shoes have a smaller heel cup but if the women's sizes do not fit, it's OK to try the men's. However, the women's shoes will be lighter. You need to find out if you have a neutral foot (normal) or if you pronate (roll in) or supernate (roll out). You can tell by looking at the soles and heels of your old shoes so take them with you and allow plenty of time to buy the right pair. Running shoes are priced according to the various 'extras' they have and it is important to buy a basic and sensible shoe and be wary of buying the expensive models. You should be able to buy a good shoe for £45-£60 less the 10% discount for being a member of Ely Runners. They often have end of range sale shoes - these can (sometimes) be better than their newer replacements! They will be much cheaper but you will probably not be allowed to have a discount. When tied, the lace holes should be near to parallel if the shoe fits properly. Shoes come in half sizes and are often marked with USA and UK sizes. The USA sizes are a size number bigger; eg USA 6.5 = UK 5.5. Well know and reliable makes are Asics, New Balance, Saucony, Adidas and Nike. Some makes have different width fittings. If you have medium to wide feet, then Asics, New Balance and Saucony may be best but if you have medium to narrow feet, then Adidas or Nike may fit better. Some shoes are dedicated training shoes and tend to be a bit heavy and slow. However, most are racer/trainers and these are what is probably best for you. They are medium weight and suitable for training and racing. Some fast and very fit runners buy lightweight racing shoes but only use these occasionally for racing. The soles should have enough grip on them for a bit of off-road use (eg grassy tracks) but at this stage, avoid buying a pair of 'grippy' trail shoes as these are heavier and less suitable for roads and paths. If they question your ER membership for the 10% discount, just say that you know me.